1. Technical drawing of floating type 3 piece ball valve full bore. Applicable pressure ratings: 800LB/ 1500LB / 2500LB. 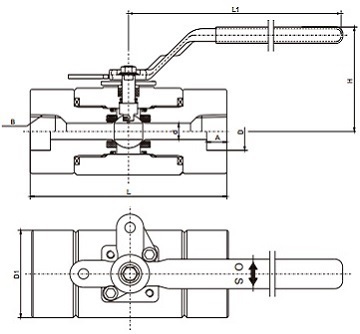 See more specifications related to floating type 3 piece ball valve.